Located in a dark little space a stone's throw from Neptune's fountain they offer budget food and drink until late into the night and even later at weekends. If ever there was a time to try some of those Polish dishes like lard on fresh bread that you wouldn’t consider during the day, then late at night after a load of beer is it. Wash it down with one of the small bottled local beers or a shot of vodka for the full effect. A thoroughly recommendable place for a nightcap. Open 12:00 - 02:00, Fri, Sat 12:00 - 04:00. Among many pubs in Gdansk this one is the best I&#039;ve ever been to. At first I didn&#039;t know what to expect, as my friends told me that I need to see it and that this is "must be" place during my journey. Believe me I will recommend NO TO CYK to all my friends, wonderfull interior, amazing staff and great people. Worth to see!! Very nice place. 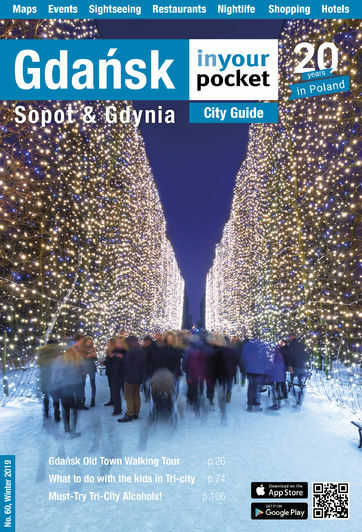 According to me one of the most popular in Gdansk.